So in the dating world, men and women have their own requirements. Most men want women to cook, clean, always look good, be independent, cater to him and now I’m assuming there’s a new rule: Blame yourself IF he decides to cheat on you. Ladies, STOP! 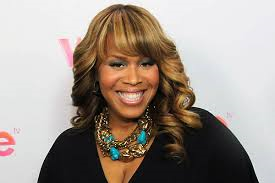 Tina Campbell, from the Gospel Duo Mary Mary, recently dealt with infidelity as her husband had an affair. In an interview, Campbell says, “I give my husband 190% responsibility for breaking the vow of our marriage…but I, Tina, assume full responsibility for the issues I contributed to the relationship.” Understood, but stop there. Ladies, please stop there. It’s okay to notice your flaws because no one is perfect. But do not blame YOUR flaws for the reasons a man might step out on you. Ladies, STOP blaming yourself for another GROWN man’s actions! If there’s RESPECT in the relationship then certain actions should not take place. The golden rule for life is “treat others the way you want ot be treated” and the same should be true in romantic relationships. If Campbell’s husband respected her enough, he would have gone to her and communicated his desires. He could have easily shared his wants and needs. He could have easily stopped himself before taking things too far. In the interview, Campbell continued, “What happens is, you’re going on and you’re busy and you’ve got children and you’ve got work. And what happens is your husband is last and you don’t realize that he’s last. And if he has a problem with being last you’re like,’Well, what am I supposed to do? You know that I’ve got a career? You know that I’ve got these babies” and again I say, STOP! I feel like she’s apologizing for having a career, being a mother, and not having enough time for her husband, so again that’s why he might have stepped out on her. Ladies, STOP apologizing and start recognizing when enough is enough. YOU are not to blame for a man disrespecting you. YOU are not to blame for a man cheating on you. YOU are not to blame, so stop it. I’m sure there are young women and women of God who look up to Mary, Mary. You can even find me on any given day, singing, praising, and shouting “It’s the God in ME!” And of course her personal views do not take away from her music, but what message does that send to other women who look up to Campbell? Are we submitting a little TOO much in our marriage? Are we going to be walked all over and take “full responsibility” for our actions that may contribute to cheating partners? In essence, we all have a choice. Of course Campbell chose to work it out with her husband and I wouldn’t suggest otherwise. Also, her husband had a choice to not have an affair. And we all have a choice to notice when something isn’t right in our relationship and address it instead of blaming ourselves afterwards when things go wrong in the relationship. Choose wisely. Do you agree or disagree with Tina Campbell? You already know how I feel. Wrong choice of words. Wrong decision. Wrong example. Disrespect to herself. Wrong message to men. A marriage is 50/50. Period.